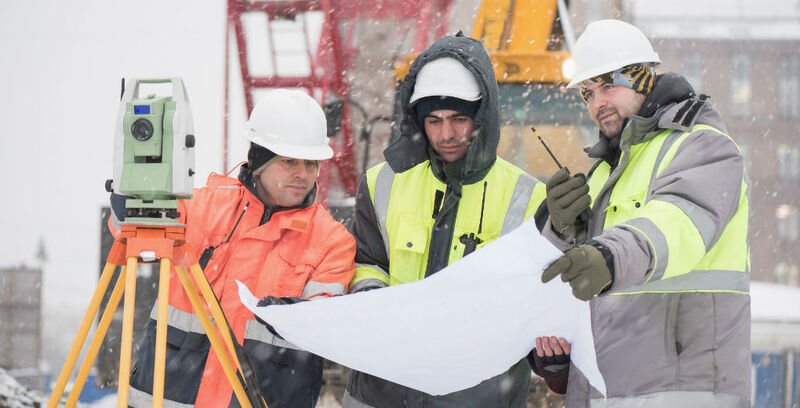 Whilst many of us have the option to turn the heating up in winter, wear a few extra layers and supply both ourselves and our co-workers with a constant stream of hot drinks, construction workers must face the elements head-on. Even in the most adverse temperatures, the show must go on which can lead to a number of potential risks to those working in the industry. When working in freezing temperatures for an extended period of time, workers are at risk of cold stress, a serious condition which occurs when the body temperature rapidly drops and the body cannot retain the levels of heat required to function normally. This can lead to serious health problems such as hypothermia and frostbite. Similarly, it can also put the worker at a heightened risk of other injuries due to a lack of concentration or an inability to move their joints to full capacity. Anyone can be victim to cold stress and its repercussions but there are certain groups who are more susceptible and so should take extra care when working onsite. However, susceptibility to cold cannot always be predetermined so it’s best to take precautions regardless of your perceived good health. Ensure that your workers are fully aware of the dangers of cold risk and if you see them acting frivolously and/or posing a danger to themselves you’ll need to take suitable action. Clothing, equipment and planning can all go a long way to protecting your workers. We take a look at some methods of prevention. Ensure all hardhats have an LT (low temperature) identifier. Ensure workers don’t touch cold metal surfaces with bare hands when temperatures are below -7°C. It’s best to recognise the symptoms of cold stress early to ensure the wellbeing of your workers. The early stages of hypothermia include shivering, lack of coordination, slurred speech and pale skin. When this progresses, the shivering will stop, your worker will be unable to stand or walk and they may appear confused. When this reaches the height of severity, they will be extremely fatigued with cold skin and it may be difficult to find their pulse. In the case of frostbite, the worker will initially feel a cold, tingling, stinging or aching pain in the frostbitten area, followed by numbness. The skin will initially appear red, then purple, before slowly getting paler to the point of white and will be incredibly cold to touch. In severe cases, the skin may become hard or begin to blister. If you notice the signs of cold stress, even in its very early stages, seek medical attention immediately. Your first priority must be to get your worker out of the cold into a warm environment. It’s important to keep your construction workers onsite safe under all weather conditions as you could be liable if they suffer an accident or injury at work. To protect yourself should the worst happen, specialist construction insurance arranged by R Collins & Co can protect you against the financial repercussions. To find out more, call us on 01977 558391.